ShoutMeLoud is a multi author blog where we allow guest posting and it’s been 2 years that we have been allowing young and pro bloggers to showcase their writing skills, gain exposure, generate backlinks and get free traffic. 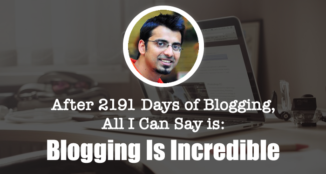 Following the trend, in last one year I have seen many bloggers started allowing guest posting on their blog. This is a good step, because as a blogger it would help you to get free post and guest author will get free links, traffic and exposure. More over, it’s not a hidden secret anymore that guest posting is better than article directory submissions as you get high quality backlinks and more over traffic too. 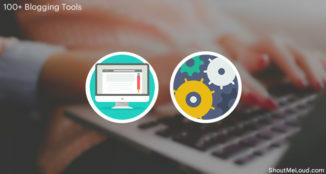 Specially all backlink builders, SEO specialist and other bloggers understood the importance and power of guest blogging and they keep submitting new posts to different blog. There is nothing wrong with this approach but if we see from the search engine point of view, it’s a bad deal for admin/webmasters who is running the blog. 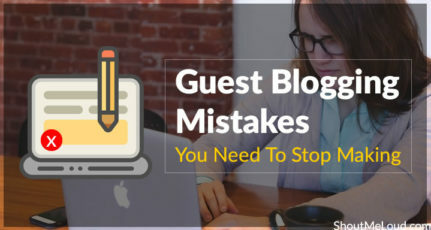 In this post, I will be talking about one mistake which you have been doing from long time after allowing guest posting on your blog and something which you should not be doing. Lets understand how you are making your guest author enable blog into article directory. Article directory is a place where you can find free content on different topic and many of them allow you to republish the content on your blog with proper credit to the author. You can also submit a post to article directory with your Keyword and link back to your site and single post. This used to be one of the most effective way of getting backlink and higher ranking prior to panda went into effect. Moreover, article directory was quite easy as you can easily spin the original content and submit it on different article directories. So one post and you can spin it many times and get backlinks from different article directories. In real sense, you just worked on one article and used software’s to rewrite the content and generated free backlinks for yourself. Similarly, there are many article directories which approves article instantly. So, with little bit of work, you will end up generating some good number of backlinks. Though if you have been following webmasters forum, you would realize post panda, Google started degrading the value of article directory and it’s not as effective as it used to be. Guest blogging is when you submit a post on a blog where you also get most of the benefits related to article directory but since your submission is on a niche blog, such backlinks are more useful and so is the traffic. Now, since it’s clear that article directory is no more effective, all internet marketer moved to guest blogging approach. There are many blogs which allow SEO optimized keyword backlink and 2-3 backlink/post. When guest blogging started becoming famous in Blogsphere, it was mainly meant for couple of things: More exposure, more traffic and high quality relevant backlinks. Infact, you would have noticed only popular blogs used to publish guest posts and such posts were submitted by known or upcoming bloggers. Is int it? 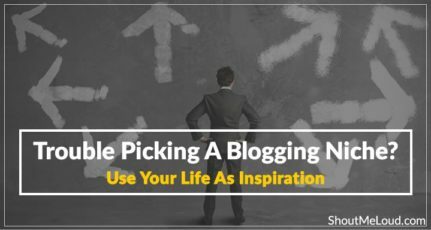 But if you have been following other blogs in recent time, you might have realized the increase in a trend of guest blogging and also all new blogs have opened their doors for guest bloggers. This is indeed a nice approach as you collaborate more with other bloggers and mutual guest posting is beneficial for everyone. But at the same time, this system is poorly gamed by affiliate marketer, backlink builders and SEO companies. When ShoutMeLoud was opened for guest blogging, I made some guidelines based on it and one of them was backlink is allowed to homepage of the author, non Keyword based and most important the niche/site should be similar to what we write on. For example, you might not like to see the backlink to mortgage sale in a post related to WordPress SEO tips. The very first problem that you would be facing is Google penalty. Since the links mentioned on your blog is not relevant and many such links will trigger the alarm, more over your regular readers will see this as an attempt to get one free article and non relevant link to author site will again not be very reader friendly approach. 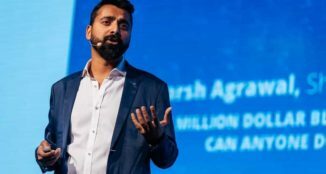 Is it as equal to selling paid links? Here is a question which might give you a quick answer: How do you think Google differentiate between Paid links and natural links. Most of internet marketer, who are fetching backlinks from your blog using guest post, they must be using the same anchor text for backlink on other blog. Now, from search engine bots will see it as paid links since many different domain is using the same anchor text for the backlink. Make sense? Similarly, the most important factor is relevancy, what’s the point of finance and health related backlink into a tech blog or Webmaster blog. I keep getting request for publishing guest posts by freelancers and backlink builders, many times I have been offered money in order to publish the article with desired keyword backlink. For obvious reasons, I deny all such offers and I realize it’s just not me but many other bloggers are getting the similar offer. Sad but true, many of them are publishing articles without keeping in mind that Keyword they linking to, doesn’t stay relevant to your blog niche and instead of doing any good, such article will harm your blog in long run. If you will see the trend on Internet, many blogs which are penalized after panda effect or getting Google penalty, this is one of the few reasons, why you might be penalized. 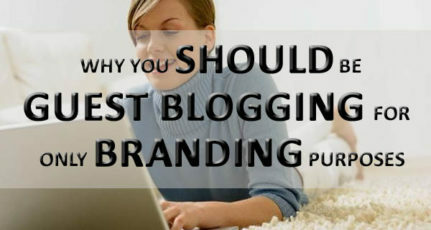 Very first thing which you need to do is create a guideline for guest posting. You have to specify, what kind of backlinks do you offer and do you offer SEO keyword rich backlinks. SEO Keyword rich backlink is not an issue, if the domain is related to your niche. But if you are simply linking to any site with any anchor text keyword, or long tail Keyword, you might see the difference in your overall ranking in long term. It’s always a good idea to publish one quality post instead of publishing 10 guest post in a day and treat your blog as an article directory. Do remember, Panda algo doesn’t penalize individual article but put domain level penalty, and once you are penalized because of any such reasons, you might find it hard to recover from Google panda. Thoughtful post, make sense. Are you going to change your guest posting strategy?, Linking to a non related niche blog definitely not a good idea. the relevancy of link is very important for readers as well as Google. But as far as Panda is considered, Link is not important but it targets Low quality website with spam content. I think Google will bring another update for irrelevant link. Yea bro, I agree, the links present in the post should be related to the post/niche. I appreciate the guest author’s own link – his technology blog or his personal blog, but sometimes they write posts ‘just’ for selling links. :\ That irritates me..
1. Restricting the amount of guest blog posts being published say to only 3 per week. 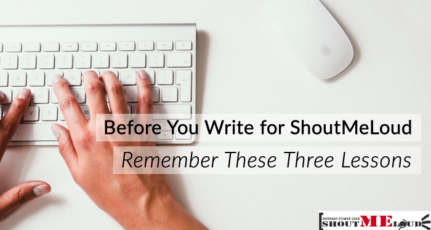 3. write a quality article by yourself. I for instance started outsourcing my content on a monthly pay basis as the writers write a researched content and my site is being loved by google with or without PANDA. Well said Harsh. This is the only reason I’ve stopped accepting guest posts. Now framing new guidelines and strict moderation of guest posts. Professional link builders are misusing the guest blogging opportunity and they are selling the links. Very good question. Selling paid links on other blogs in the form or guest post is offensive. And it makes me frowning. There is a slight difference between article directories and guest posting. Guest posting is much better than article submission. I just observed that we cannot reply to comments as threads? I want to ask you one thing. What kind of losses may we have to bear if we convert our website or blog into an article directory with specified rules & regulations ? Don’t you think it may invite a wide range of bloggers & writers and you will continue to reap benefits from their smart work ? What’s wrong in this ? I think it is useless thing to say “Why would search engine take a keyword as its paid link attempt whether the same keyword back link come from one blog or 1000s other?” For Suppose, Apple launch an ipad 4 and its available at amazon only. If i write the article and put the common phrase like you can visit amazon.com to buy ipad 4 and i link to “buy ipad 4″ to amazon page. Many sites follow the same pattern, so how would Google think that this is paid link attempt…? I think it highly likely that link authority from guest posting will decline in the future. As stated in the article, the links in author bios are often manipulative. 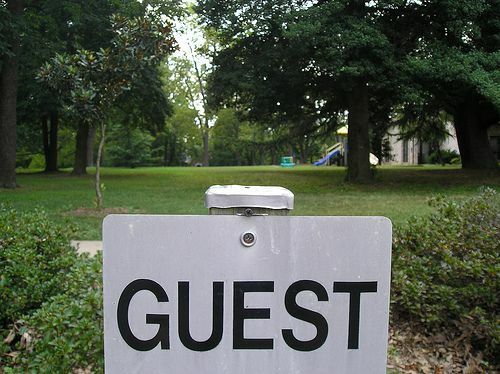 If the benefits of guest posting are limited to: 1) allowing the author to reach a broader audience; 2) building the guest poster’s reputation. and #) generating clicks to a blog or website, then the quality of content on the web would presumably go up. Guest posts for link building purposes do not enhance the overall quality of Google’s search results.